It’s a new season for the men’s basketball program, and there are plenty of fresh faces. Only two players from last year’s roster returned (Caleb King and John Callis), and the three leading scorers from last year’s team (Mardell Thompson, Chad Haysbert and Jarvis Watkins) have left. 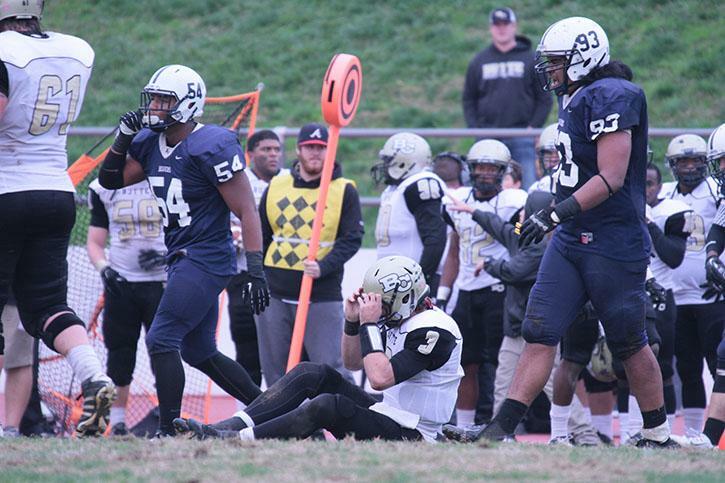 The men made the playoffs with a 12-14 record last season, but exited with a first round loss. However, there’s plenty of opportunity for new players to emerge. 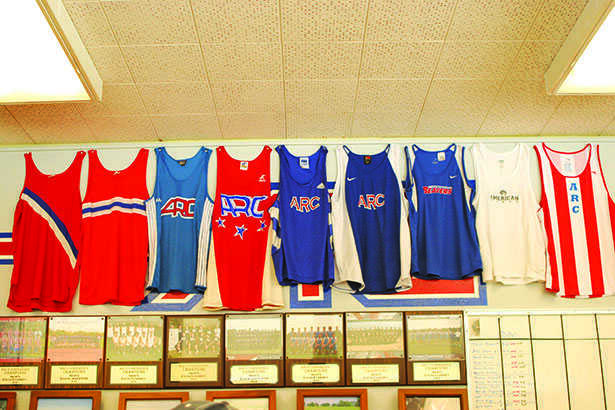 Head coach Mark Giorgi, in his 16th season coaching at American River College, thinks the team will rally together as a unit rather than as a few individuals leading the way. “It’s gonna be a host of guys who can fit pieces to make a bigger puzzle,” he said during practice Nov. 1. With the tallest player on the team being 6’5”, as opposed to last year having “three guys 6’9” and higher,” Giorgi is going to have to change styles of play on both sides of the ball. “Normally we play a traditional half-court set, but being so small, we’re going to pick the tempo up and use a dribble-drive offense. We’re trying to get quicker shots, but still good shots, and not force things. Defensively…we’re gonna have to expand the floor, put pressure, trap, (and) try to cause turnovers,” Giorgi said. King, this season’s starting point guard, sees potential in the new players, but isn’t quite satisfied with them yet. “I think a lot of them are going to have to grow up and take more responsibility. I think after the first couple (of) games they should get it figured out. It’ll be a learning process, but they should be good,” King said at practice Nov. 5. 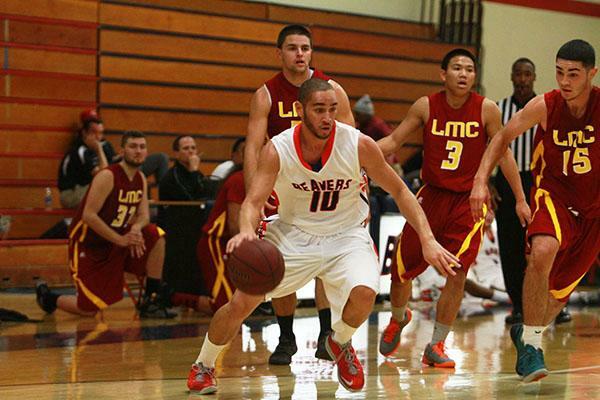 The Beavers’ opened their season Nov. 7 with a 92-72 loss against Los Medanos College. Down early in the first five minutes, the team rode the hot hand of freshman forward Alex Powell and his 12 first-half points to end the half 46-43. After ARC briefly held a four-point lead in the first two minutes of the second half, Los Medanos took over, going on a 24-4 run that ARC had no answer for. “I think we had guys relaxing. We had the lead for a second there, and I think guys got relieved and lazy,” Giorgi said after the game. Concerns over execution of the offense were nil except for turnovers, but the defense was an obvious work in progress. “I did not expect that,’ Giorgi said. “(Los Medanos) made some shots, but I did not expect by any means to give up 92 points…We have to work on containing penetration, we got killed on inside-outside passes, when someone drives on us and kicks out to a wide-open man”. Powell finished with a game-high 22 points, and was a “bright spot” for what otherwise was a poor effort in Giorgi’s eyes. “We need someone to step up and assume leadership. It’s wide-open right now,” Giorgi told the team in the locker room. Be the first to comment on "New faces means a new scheme for this year’s squad"